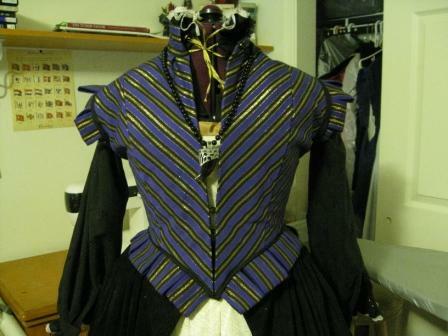 Since our faire plans were canceled for today, I had time to get the majority of the remainder of work done on my doublet. I’m not crazy about the hooks & eyes that I installed, but I’m not real keen on doing buttons, so I’ll deal with it. 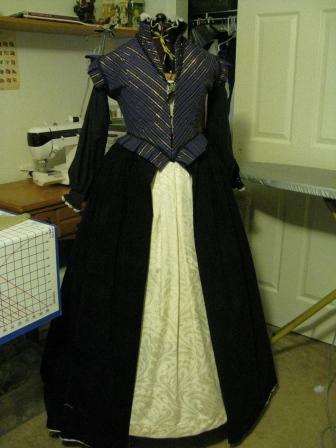 Tomorrow will be devoted to the sleeves and skirt hem, which will mark the gown parts complete. I also need to construct the attifet. 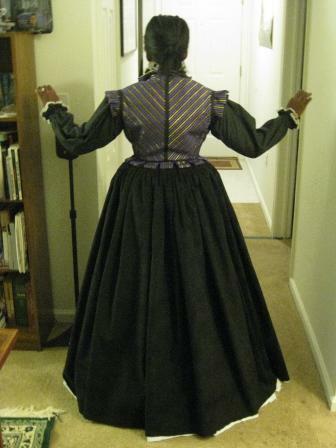 As of today, I can get all pieces of the ensemble on, and the fit is reasonable. Here’s to stamping this completed tomorrow.